This ring from the EF Collection displays a double dose of dazzle! 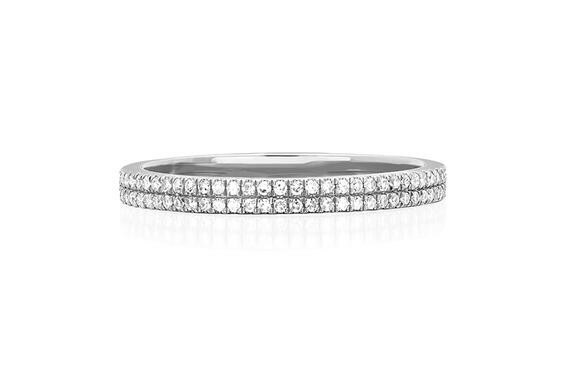 Two rows of diamonds, winding halfway around the band, are set in 14K gold in the precious metal tone of your choice; bright white, mellow yellow or complexion-complementing rose. 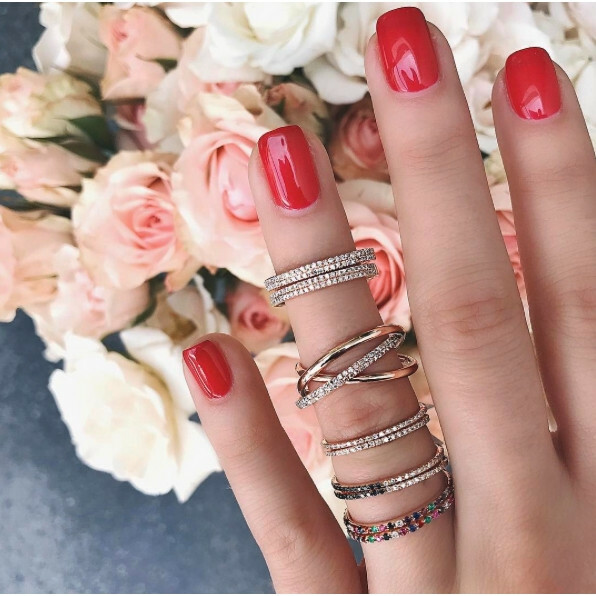 This EF Collection band will undoubtedly become one of your fashion staples; wear it every day on its own or stacked with other styles.